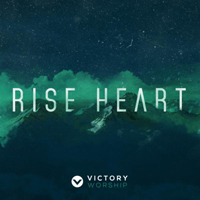 The “Rise, Heart” live album was released on October 20, 2015. “Lost Without You” was led by Lee Simon Brown and sung in the key of F major (F). “Ruler Of Nations” was led by Cathy Go and sung in the key of E major (E). “Blessing And Honor” was led by Lee Simon Brown and sung in the key of A major (A). “Everlasting Glory” was led by Joe Ramos and sung in the key of D major (D). Go to Awit Ng Bayan.